It’s been a while since my last blog……around 10 days I think, so here is the catch up since then. It has been very hectic here, we moved plus we have both had the dreaded flu. Some crazy, mutant, foreign, fatal strain which seriously knocks the bejesus out of you. And the flu shot I had during the Australian winter has absolutely no effect on it either. Steve contracted the flu first and due to this particular strain being highly contagious I was next on its hit list (despite all my hand washing, avoidance of sick people – ‘its not me its you’ and orange eating). I think it may have been due to the strange weather patterns here that we finally succumbed to ill health. Well it was that or our very bad eating habits since arriving in the States but I’ll go with the weather as we experienced a polar vortex complete with below freezing temperatures (our pipes froze), snow and ice storms, artic winds and did I mention below freezing temps. IT WAS BITTERLY COLD!!!! Even the little lakes here in the community we now live in froze over. It was quite amazing. These vortex’s are quite deadly and dangerous but thankfully after a week of miserable weather the temperatures began to increase which oddly made for perfect tornado weather (something about the cold and warm air mixing). We were in our new home four days and received our first tornado warning which I have to say was a little scary. The storm front started here in middle Georgia around 9:30am and swept its destructive way across the south and ran out of puff just short of the Atlantic ocean in North Carolina. You know how it can be a normal moment or day in time, then all of a sudden it goes eerily quiet: the quiet before the storm! Well that’s exactly what it was like. Of course the eerie silence is broken by the sound of the tornado warning siren though! Anyway, back to the hectic element of the past week plus. Our move. 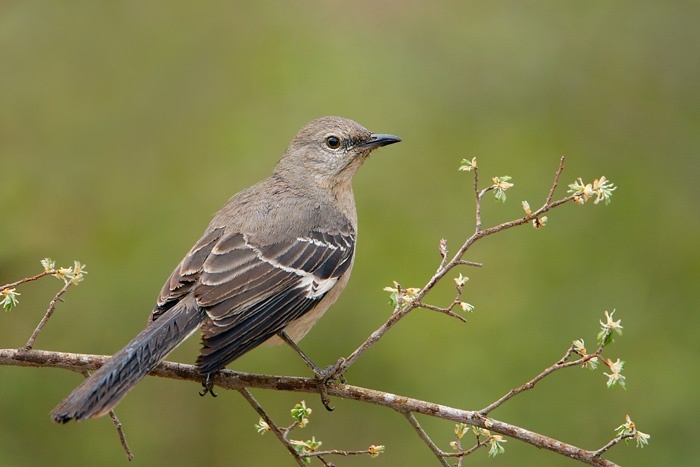 We have moved into our home which is great and I have discovered we have our own resident mockingbird which is very special. And after observing this dear little chap I completely understand why ‘it is a sin to kill a mockingbird’. They are very sweet, very interesting and highly entertaining little birds. Apparently they are great mimics too apart from also having about 200 songs in their own repertoire. Our home is lovely and we live in a pretty, well maintained gated community with its own flocks of resident Canadian Geese (a lovely and elegant bird). The geese have right of way on the roads and footpaths, as they should, and although they are artic natives they are very much at home here. I can actually hear them outside as I type this. They are doing their afternoon patrol or making their way back from visiting somewhere. They have a distinct honking call which is pleasurable to listen to although no doubt they will hiss, as most geese do, when they are a little perturbed about something. I am still getting used to the house with its mysterious freezing pipes and plumbing, its nightly creaks and groans, thermostats and central heating (everything is in Fahrenheit) and deadly trash compactor. On the upside we have a flagged letterbox and squirrels in our back yard. Yes, apart from a lovely mockingbird we also have squirrels (the grey squirrel, the fox squirrel and another little southern flying squirrel who is timid and rarely spotted) who again are very entertaining and very cute unless you have out door cane furniture – which we don’t so we welcome the populous of Grove Pointe squirrels. It seems there is so much to learn and understand about living in America (which is so different to Australia – a blog will follow) and I have to say I feel like such an environmental vandal since residing here. I try to be environmentally conscience but the heat stays on 24 hours a day 7 days a week and in summer the air conditioning is the same. Neither is ever turned off. And they don’t recycle. Why not? I have no idea! My ‘green’ bags are a source of mystery and enlightenment to the grocery packers (young teenage boys or very short older Hispanic males) who are almost reluctant to use them. They will however use about 50 plastic bags for 50 items. Seriously, it is almost one item per plastic bag. I will however endeavour to train them to my ways……or just pack my own groceries (but still tip them). So our rented furniture arrived on the Monday and once the bed was bought inside and made up Steve fell into it and snored and sweated and coughed and snuffled the next few days away in it (although I did have to tazer him out of it around the third day in order to take him to the doctor). Moved out of our temporary accommodation on the Tuesday, the day after that our shipment from Australia arrived (all great on that front with nothing broken or damaged) so I potted about, unpacked, moved furniture, unpacked a bit more, moved some more things about and got very settled and relaxed in order to enjoy my new surroundings (Steve will never find a thing) aaaand, that’s when the flu hit. Therein I have been bed bound for about five days although I am starting to feel (and look) much more human again. I am also up and about today (okay, I am writing this in bed) testing out the new internet and cable connection but up and about in fluey sort of way. I also glanced at my emails this afternoon to find I have quite a bit of catching up to do so thank you for your messages and I will get to them all as soon as I can. And before I almost forget, Gus and Zoe have also both settled in beautifully and seem to have made themselves very much at home. They are two happy cats so that makes me happy. Well, I guess this is home now. For the next three years anyway so nothing else: tornadoes, freezing pipes, a ‘Christine’ trash compactor (you will have to read Steven King novels to understand) or the flu really matters because being home is really where a story beings.